ICU MSCRM: CRM 2005 Release Preview--Sorry! Looking for some news on CRM 2005? So was I. I have a sales meeting this week with a large client’s sister company which is considering moving to Microsoft CRM from a proprietary system. While it will be easy to do a demo of CRM 1.2 and talk about addressing their business needs, it will be difficult to answer the vital question: Should they move forward now, and invest time and money and effort in 1.2 when CRM 2005 is right around the corner? There are two major factors to answering this question. First: when will CRM 2005 be available, and second: what new functionality will it include? 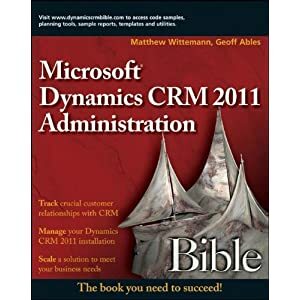 Well, I’m glad to report some recent progress on both fronts: Many of you know that it has recently been announced that CRM 2005 will be released to manufacturing in March. I got a confirmation on this announcement, though of course, the caveat was added that this is the “planned” date for RTM, and general availability still has no hard dates. On the second front: I actually got my hands on a copy of a CRM 2005 Release Preview PowerPoint presentation. I was assured that it is “customer-ready,” though, again, the usual disclaimers were added that all the described features are not guaranteed. Download the CRM 2005 Release Preview here.